Before we know it will be Easter (as if the availability of hot cross buns in the shops for weeks already doesn’t sound the alert !) so time to plan some activities for the kids. Each year we make some Easter cards together for parents. The scope is wide from drawing and painting to printing and collage. Four year olds love to cut and paste (using small, blunt nosed scissors is great practice for developing fine muscle control) and I have found supermarket catalogues a great source of rabbit, chicken and of course Easter egg pictures. The pictures can be cut out and arranged on folded cardboard to make individual Easter cards. 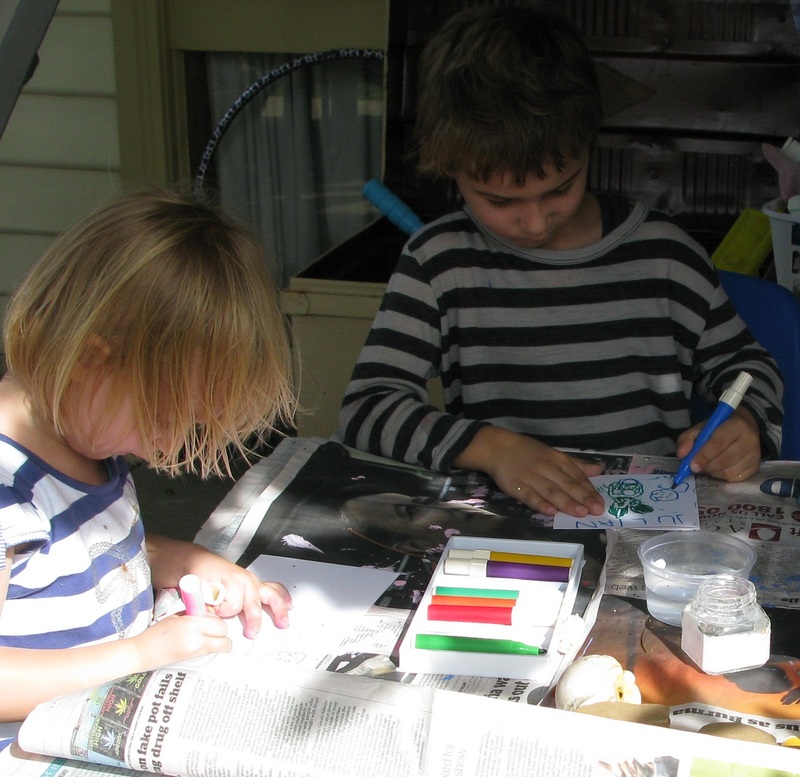 I find a glue stick the least messy way of attaching the pictures and it is a good idea to show the child how to put the glue on the back of the picture rather than on the cardboard. Sometimes I print a message which can also be cut out and pasted in the card. Before the children can write their own names they can recognise the letters in their name so a collection of letters on small paper tiles (I make a page of these on the computer) enables a child to choose the appropriate letters and glue them in the card too. An envelope can then be made from coloured paper and decorated appropriately. Last week saw the launch of Wednesdays at Gam’s. 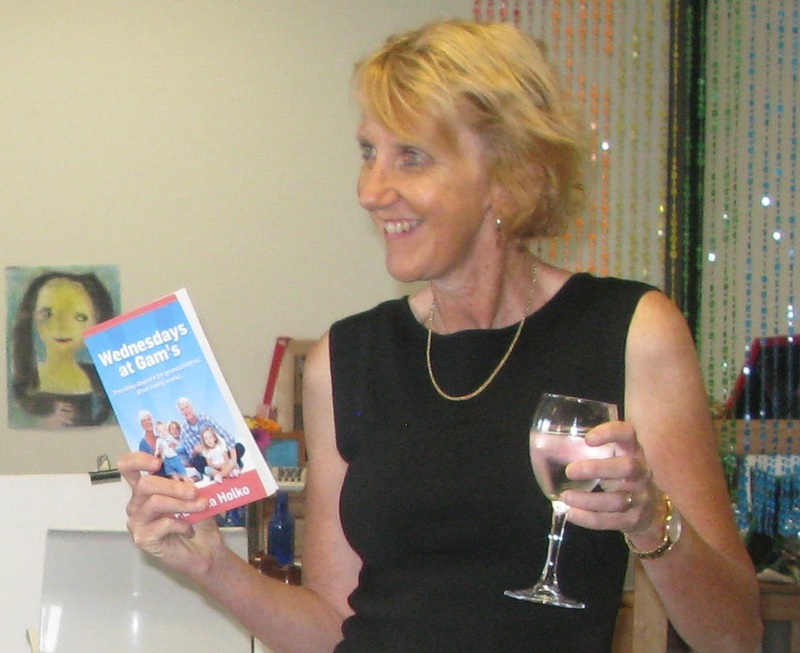 Kathy Walker, renowned parent educator, researcher, educational consultant and Director of Early Life Foundations, performed the official launch in front of an audience of family, friends and colleagues. 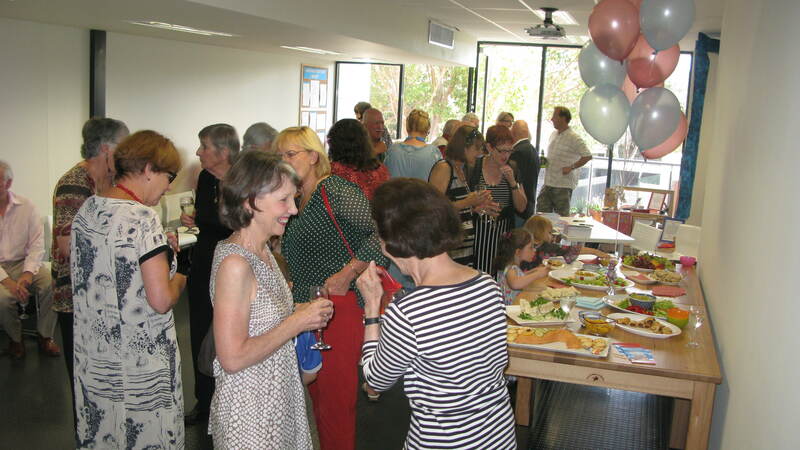 Over food, bubbles and conversation at the Early Life Foundations Centre in Brighton we celebrated the launch together in a happy and convivial atmosphere. My thanks go to Kathy, co-director Shona and members of staff for their support and encouragement. Wednesday at Gam’s is an Australian first. A book that is long overdue for Australian families and professionals working with young children, not just grandparents. It is a landmark book that represents the fact that Grandparents play a vital role in society today. In a variety of ways, grandparents are increasingly caring for, providing child care for and supporting the activities of parents in the care and lives of children. We highly recommend this book to families and to professionals as part of their library for families.